Rep. Michael Sylvester, D-Portland, speaks Monday during a news conference at the State House before a public hearing on his bill to authorize two “safe-injection” sites to prevent overdose deaths in Maine. 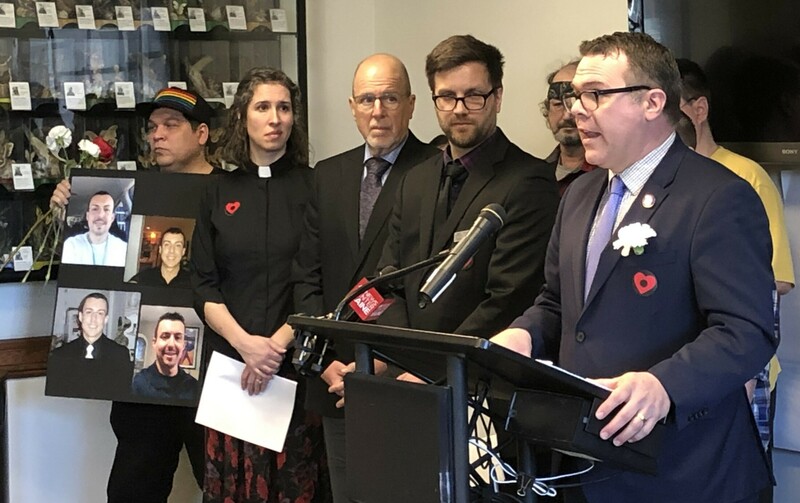 AUGUSTA April 1,, 2019 Rep. Michael Sylvester, D-Portland, speaks Monday during a press conference at the State House in Augusta prior to a public hearing on his bill to authorize two “safe injection” or “overdose prevention sites” in Maine. Photo by Kevin Miller.